Mitt Romney welcomes all the distracting chatter about his potential VP pick, but he confirmed today what many have already concluded: He actually won’t be making the announcement anytime soon. 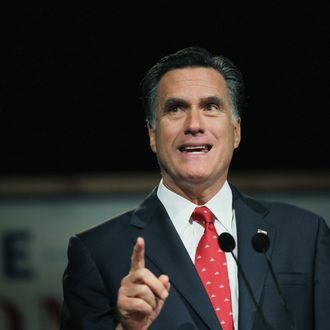 On Wednesday Ann Romney said he’s “not quite there yet.” Later on the campaign trail Mitt said, “I have not chosen the person who will be my vice-president,” but assured a concerned tea partier, “That person will be a conservative. They will believe in conservative principles.” Sorry Anthony Weiner, you’ll have to find another way to get back into politics.